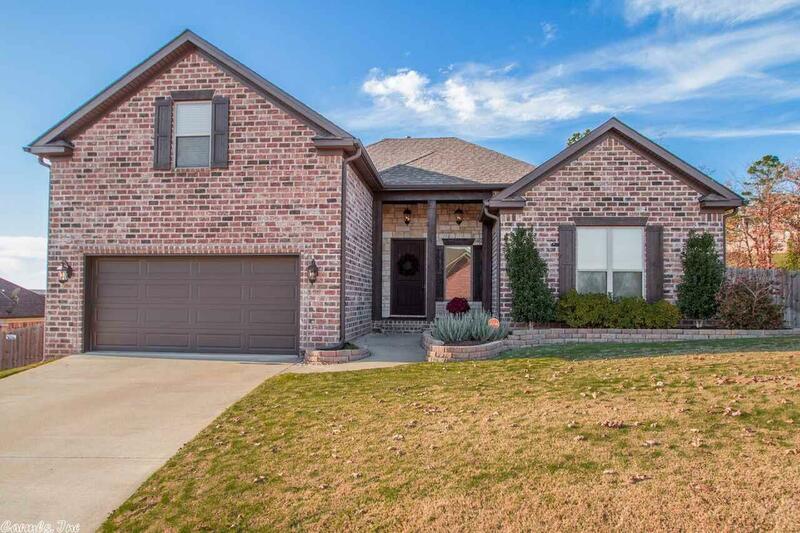 Stunning home w/beautifully landscaped backyard offering great covered patio and arbor. Lives like a one level w/sep. bedroom arrangements on main level and gameroom upstairs. Open plan offering beautiful vaulted ceilings w/wood beams in den. Great kitchen w/pantry, granite and eat in area. Master offers trey ceilings w/wood beams and master bath with 2 sep. closets, 2 sink vanity, jetted tub and sep. shower. Upstairs is a gameroom w/mini split h/a and has potential to be 4th bedroom & 3rd bath. BEAUTIFUL!